Uhuru and Ruto woes Kalonzo Musyoka to Join Jubilee in Ukambani tour. #JubileeInMachakos - Bana Kenya News, Real African Network Tubanane. 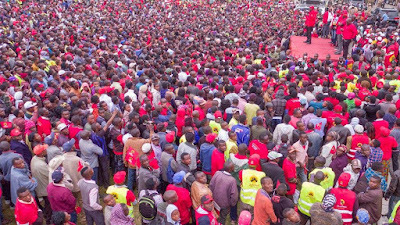 The Jubilee team led by President Uhuru Kenyatta and Deputy President William Ruto held several rallies in the Eastern region. They also commissioned and launched several projects across the Eastern region counties. President Kenyatta and DP Ruto woes the NASA runningmateKalonzo Musyoka to join them so that they take the region to the greater heights. They together said that by joining the team, they will bring the people of Masinga, Yatta among others water. They Commissioned the rehabilitation of the Yatta Canal project in Machakos County and interacted, shared the Jubilee vision with residents of Matuu. Urged them to support Jubilee so that we can continue on the journey of transforming the lives of Kenyans. In addressing residents of Ekalakala, the President together with his Deputy William Ruto during the meet-the-people tour of Machakos County, the duo commissioned the upgrading to bitumen standard and maintenance of Matuu-Ekalakala-Kanguku and Katulani-Kyasioni Roads in Machakos County. 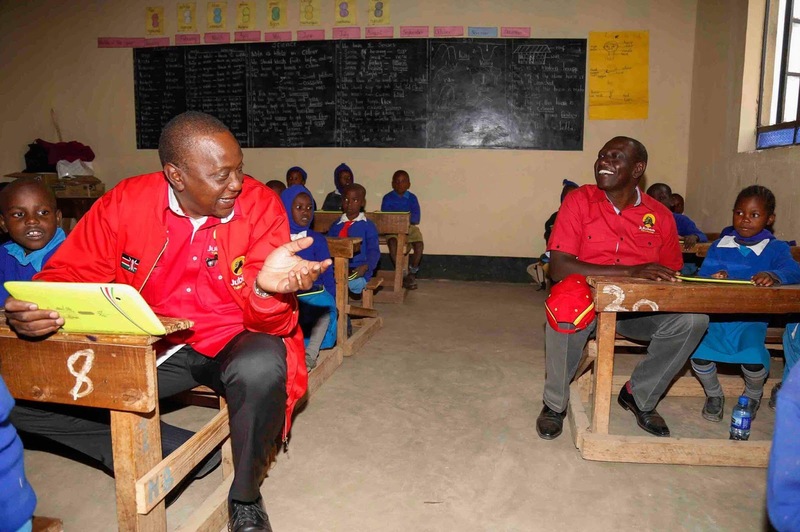 The two Jubilee leaders also Inspected the progress of the Digital Learning Program (DLP) at Kathithyamaa Primary school, Kangundo, Machakos County. 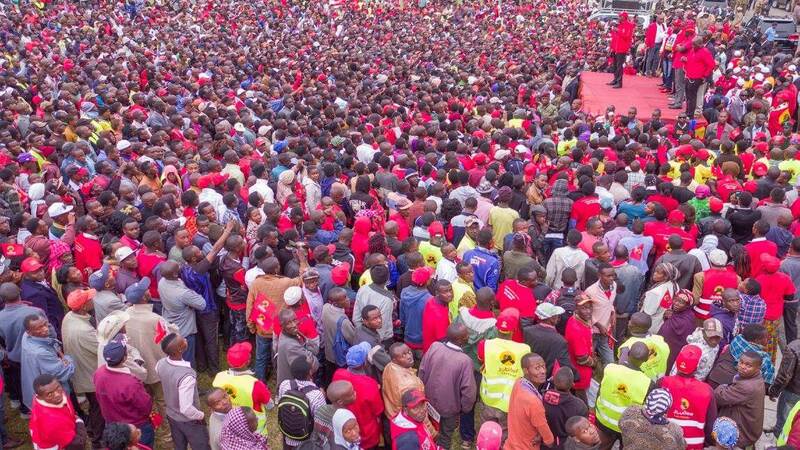 President Uhuru Kenyatta and his Deputy William Ruto addressed a public rally at Kenyatta Stadium, Machakos town. "My administration cares about the welfare of the youth and that was why we are ensuring that every Constituency has a Technical Training Institute. More than 100,000 youth will be enlisted in the apprenticeship program and each one of them will get a paid apprenticeship arranged by the Government." Said the President. "We want to positively change the lives of all Kenyans. That is why we are offering leadership. Jubilee Government has made it a reality for women to enjoy free maternal healthcare, free exams that will be followed by free secondary education, expanded electricity connections, provided better health care, constructed the Standard Gauge Railway and much more." said Deputy President William Ruto.